Unbelievable Value for Over 5600 square feet of exceptional living space! 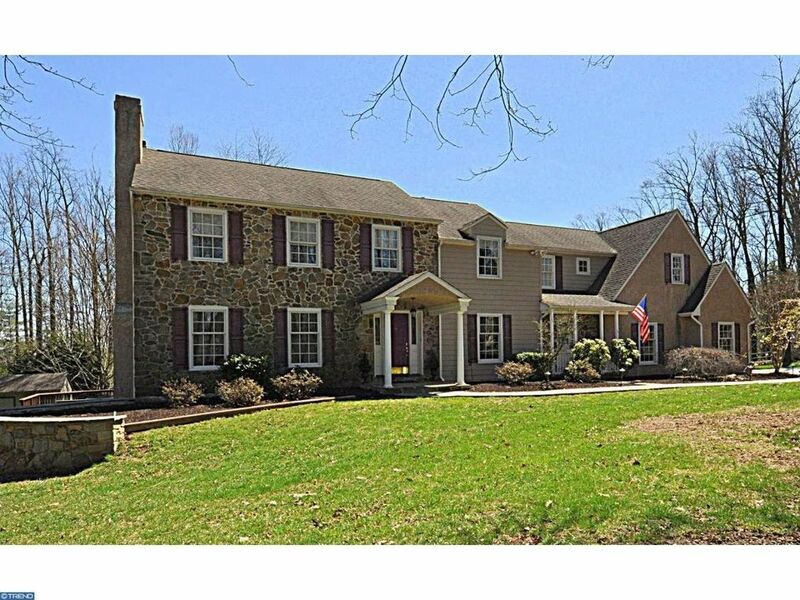 Elegant Colonial Farmhouse with newer fabulous two story Peter Batchelor addition situated on a picturesque .84 acre corner lot set back from the road on a cul-de-sac in Newtown Square in the Greene Countrie neighborhood. This home has been meticulously maintained, neutrally decorated, and totally upgraded with custom features through out. Exterior features include a nicely landscaped large corner lot, raised deck with second deck and covered paver patio below, three car attached garage, large custom storage shed, and flagstone walkway to the front door. Interior features include beautiful hardwood floors, four fireplaces, family room addition with stone fireplace, vaulted ceiling and built ins, custom Kountry Kraft kitchen with granite island and separate wet bar with wine refrigerator, beverage refrigerator and ice maker, elegant master suite addition with spacious fully customized walk in closet and exquisite master bath, and a fabulous walk out lower level with several entertainment areas. This convenient location is within close proximity to all major highways for commuting to center city or the airport and within minutes to the Ellis Preserve, Newtown Square, Paoli, Wayne, and Villanova for shops and restaurants, Episc Academy, and the R5 for the train.